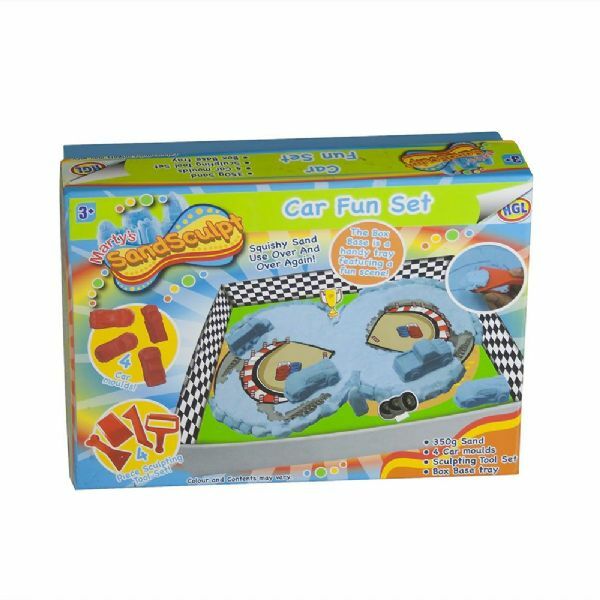 Why not treat your Child to this Fantastic Martys Car Sandsculpt! Each Set consists of: 350G Of Sand A Sculpting Tool Set Box / Base Tray - which features a fun scene to go with your chosen theme! 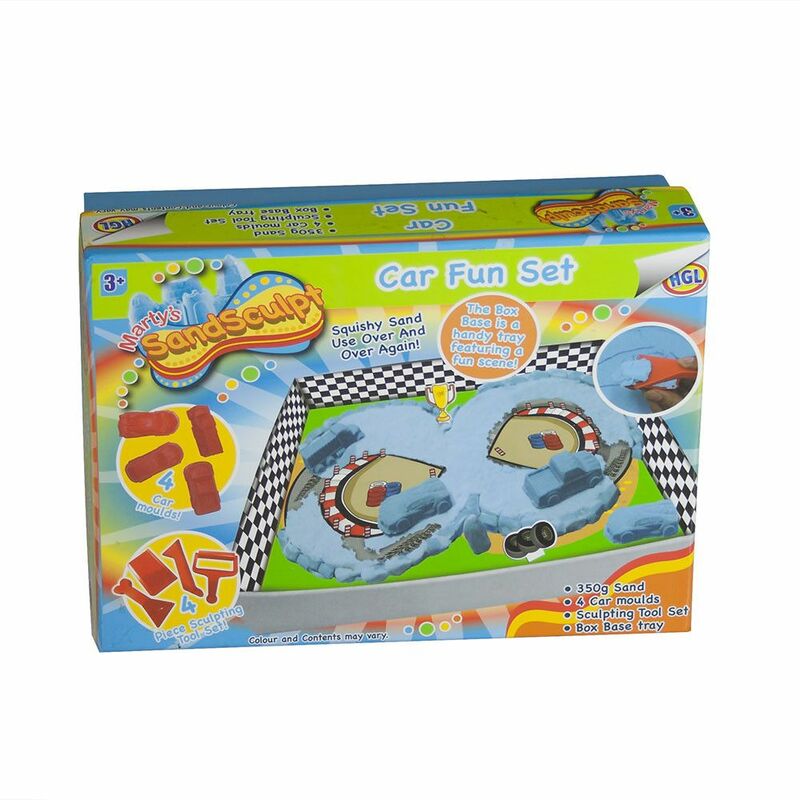 4x Car Mould's to bring your themed sand to life Squishy Sand that can be used over and over again!